Top Five Restaurants for Dessert and Drinks. 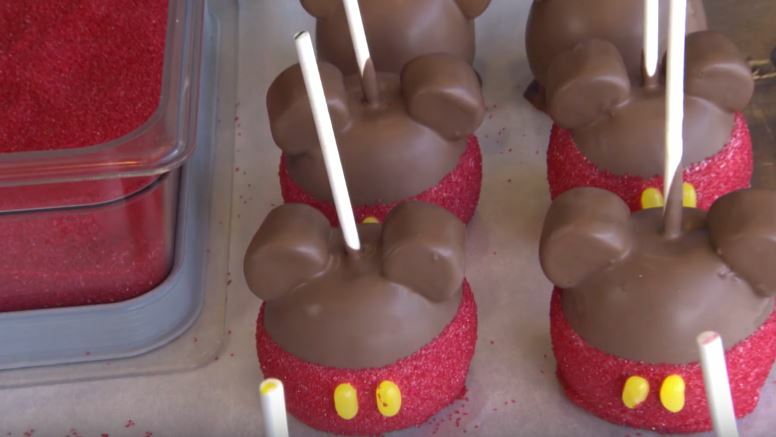 There are a ton of great places to eat on Disney property and I’ve tried most of them (and I’m working on the ones I haven’t! ), but what if you just want drinks and a quick, sweet snack later at night? 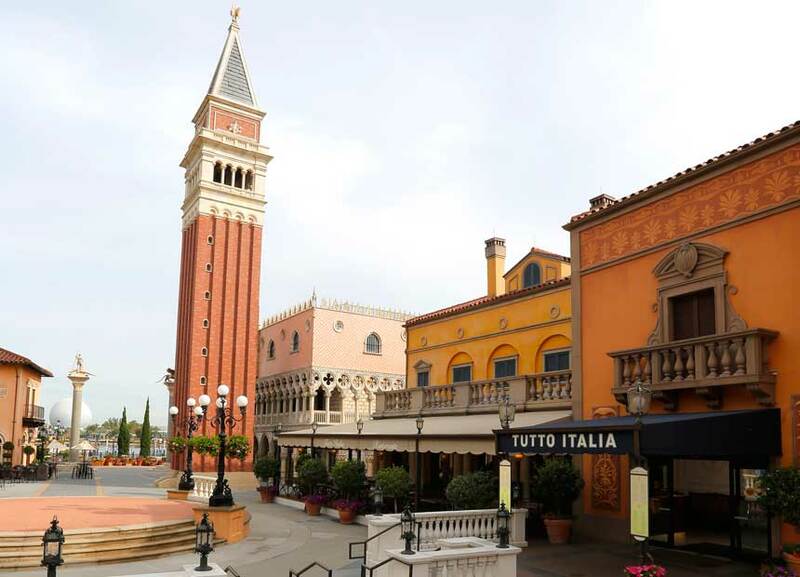 The good news is, most restaurants have a bar attached or nearby that serves the restaurant’s menu. I’ve compiled a list here which is by no means complete, but I think it’s close to the best choices for a quick late night nosh on property. 5. 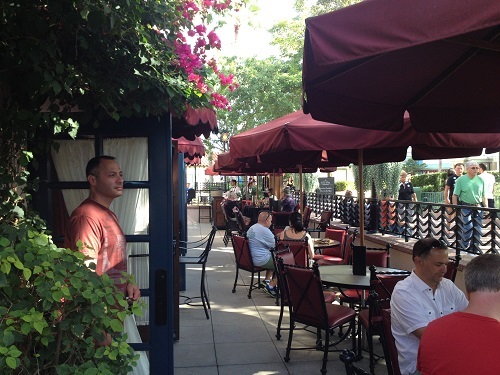 Brown Derby Lounge in Disney Hollywood Studios (pictured above). Confession: This location, part of one of my favorite signature restaurants, is kind of a cheat: You’re not exactly in the restaurant. Instead, you’ll eat outside in the lounge area, a pretty little walk-up place that lets you people watch and snack. It’s especially nice in the early evening, when you’re “snack” hungry but want something a little more upscale than a Mickey Bar or a carrot cake cookie. Bonus: If you want something that’s not sweet, they have great tapas-style plates. 4. Rose and Crown Pub at Epcot’s UK Pavilion. Well, it’s a British-style pub so it’s kind of a given that you’ll find great beers on tap plus a lively crowd that gets even livelier after dark, but if you’ve got a hankering for something sweet, try the Sticky Toffee Pudding. It’s a caramel, moist, pudding-like British tradition that deserves your attention right now if you haven’t tried it yet. Oh, and don’t share. I mean, share your beer if you must, but keep the dessert to yourself. 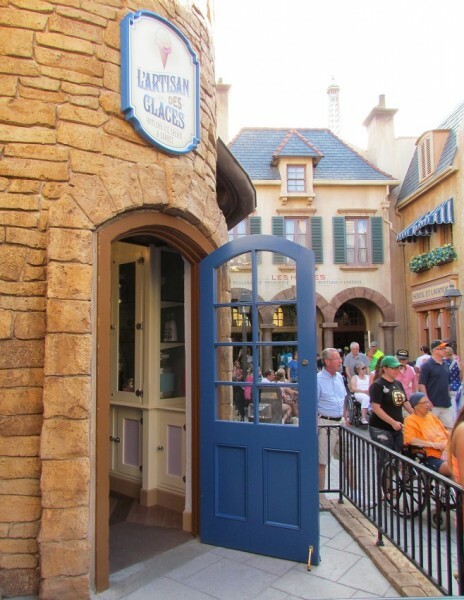 You have a new place to satisfy your sweet tooth in EPCOT. 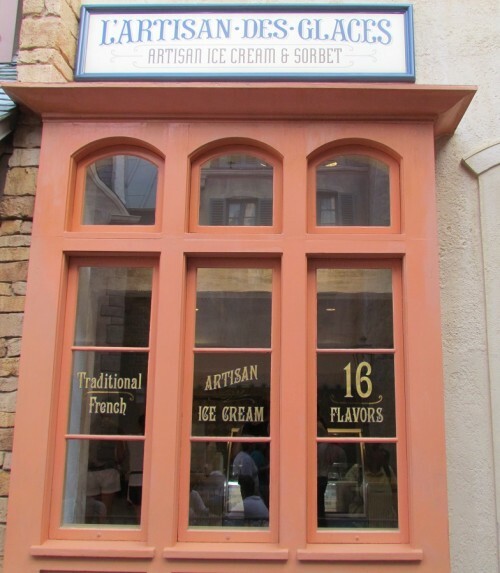 L’Artisan des Glaces is a new artisan ice cream and sorbet shop in the France pavilion. 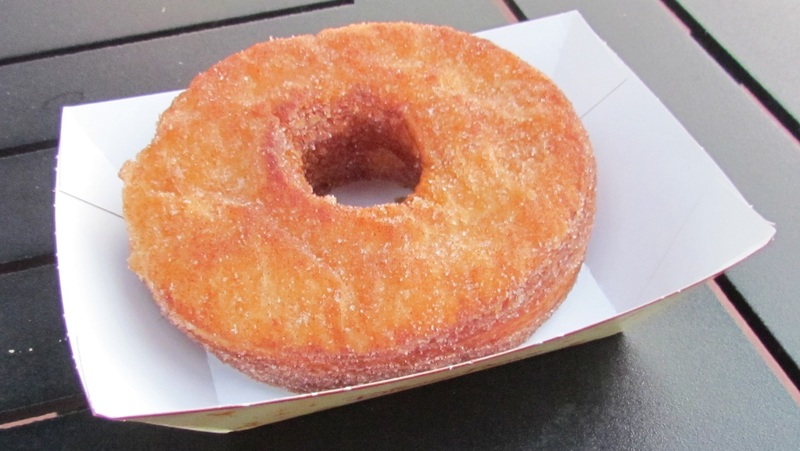 It features 16 yummy flavors, all made in-house with fresh ingredients. For grown-up tastes, you can even ask for a shot of liquor on top – served in a martini glass. The entrance is on a ramp that leads into the old bakery door. Some more new signage in the area.